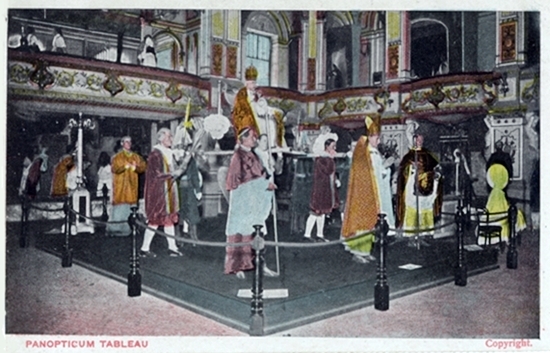 The Panopticum at The Palace, Blackpool, 1904. 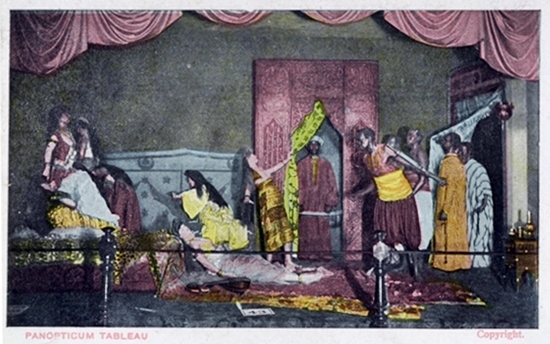 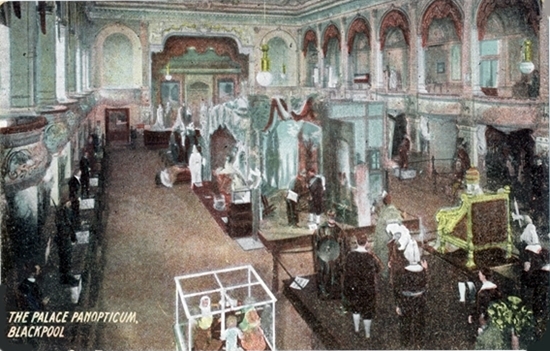 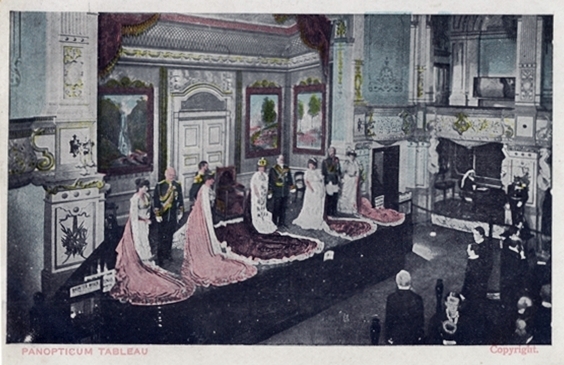 After the purchase of The Alhambra building, the ballroom was renamed 'The Panopticum' which housed exhibitions. 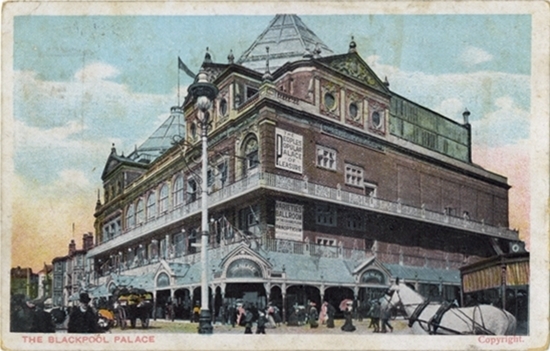 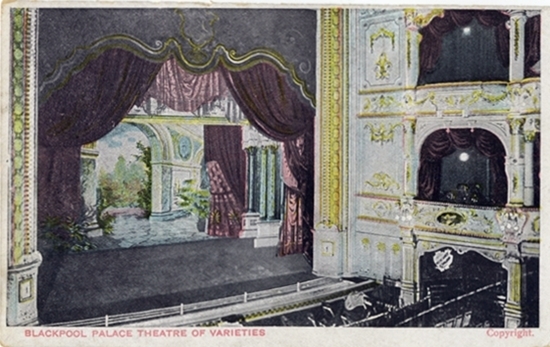 It later reverted to use as a ballroom before conversion to a cinema known as the Palace Picture Pavilion.